This helps navigate to the admin page or if you've forgotten the default admin password for your device. Set up a Wi-Fi network connection with a device (e.g., computer, smartphone, tablet, etc.). 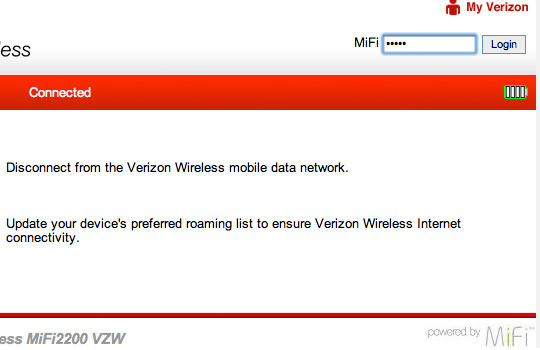 Network credentials (SSID / Password) are located on the sticker on the back of the MiFi. Open a web page, enter 192.168.1.1 into the URL address field then press the Enter key. Enter the password then select Login.